Once the Gravelly Range Road descends from the mountains, it reaches the northern edge of the Centennial Valley. 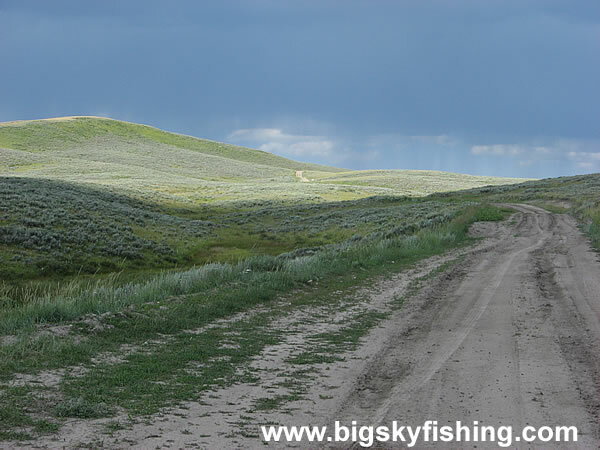 This stretch of the road is probably the worse, as it passes through a rarely maintained road inside the Red Rock Lakes National Wildlife Refuge. Fortunately, this road - while full of ruts - was dry when I drove it. When wet, this would not be a pleasant drive at all and likely would be impassable a two-wheel drive passenger car.